Managing your company's financials is the backbone of your business and is vital to the long-term health and viability of your company. To continue applying the necessary financial rigor to support rapid growth, you need the right tools to most efficiently achieve this. 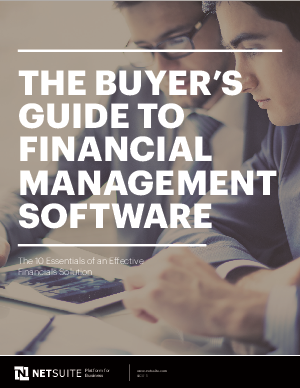 Read this white paper to understand the 10 essentials of a complete financial management system and how the right solution can help you keep up with the rapidly changing business world.